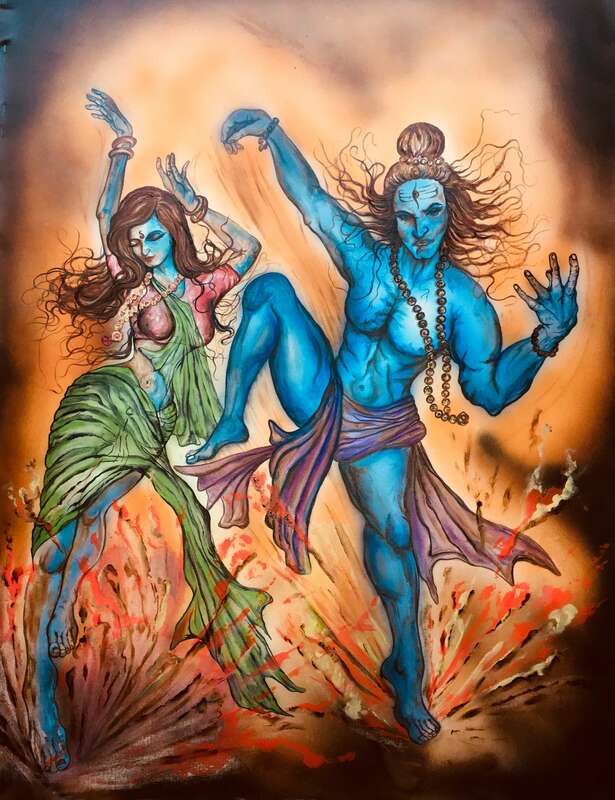 BUY PAINTINGS ONLINE BY VISHAL RAMAIYA. HIS PAINTINGS ONLINE ARE AVAILABLE ON ARTZYME.COM. VISHAL RAMAIYA IS SELF TAUGHT ARTIST AND HIS PAINTING ARE RELATED TO ANIMALS IN ABSTRACT FORM. HIS PALETTE, A MELTING POT OF FIERCE EMOTIONS IS HIS MEDIUM TO DEPICT HIS FEARLESSNESS.THE BOLD STROKES OF HIS BRUSH CULMINATE INTO VIGOROUS ANIMAL EXPRESSIONS, SETTING APART THE LETHARGIC, SUBMISSIVE AND DOCILE ATTITUDES TO BREAK THE MONOTONY AND STEREOTYPES SURROUNDING HUMAN LIFE. VISHAL USES FEROCIOUS ANIMALS AS A METAPHOR FOR POWER, INDIVIDUALITY AND AGGRESSION. VISHAL RAMAIYA, NOW A 38 YEAR OLD ARTIST 'THINKS, TALKS AND BREATHES' ABSTRACT PAINTING AND ASPIRES TO CARVE A NICHE IN THE WORLD OF EUPHORIA. HE HAS PARTICIPATED IN SEVERAL ART SHOWS AND HIS PAINTINGS CAN BE FOUND IN SEVERAL HOUSEHOLDS.